This morning I met a friend for a track workout. She was planning to do 200’s. I hadn’t made up my mind whether I wanted to do 200’s or 400’s. The downside of coaching yourself is that you can show up at the track, even complete your warm-up and still be pondering what your workout is going to be as you take one last swig of water. The good part of being self-coached is you can allow peer pressure to be your guide and enjoy the camraderie of training partners while you suffer. Kidding aside, I consider myself very lucky to have a very experienced, fast friend as a training partner. I trust her because she’s my friend but also because she coached herself to an 2:49 marathon.Of course, this was many years ago, otherwise there is no way I would be able to hang with her. She advised me that no training I do at this point can possibly benefit me in my half marathon which is fast approaching (a week from Saturday), so I might as well do some short fast stuff, just to keep my legs snappy. With that in mind, we did 8×200 with 200 jog recoveries. Except for the last one, which I did in 48 seconds, I did all of them in 49 or 50 seconds, and when the workout was done I felt like I had a lot more in the tank, which is exactly how I wanted to feel. It probably didn’t hurt that I had a whole night of uninterrupted sleep last night. Later that morning, Sweet Pea took an unprecedented 90 minute nap (for me; she routinely does this for babysitters), during which I swept, vacuumed, mopped, folded laundry, threw in two loads of laundry, took out the trash and the recycling, fed the chickens, took out the compost, and unloaded the dishwasher. Every so often I considered checking in and make sure she was still breathing, but I was too busy getting stuff done. So I ran some repeats and I cleaned the house, blah blah blah.. Then we headed to the Munchkin Masquerade. Here’s our munchkin. 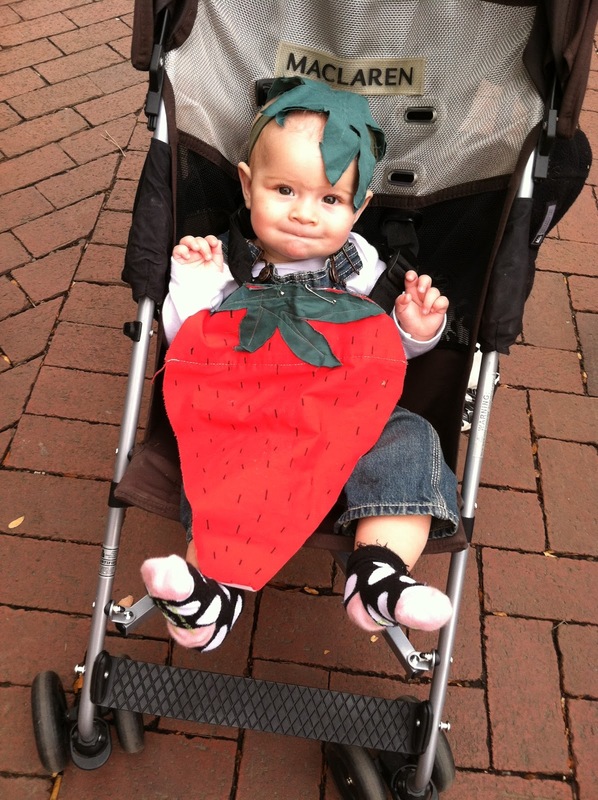 And here is a quick tutorial on how to make a strawberry costume of your very own! This took me less than 20 minutes!! 1) Go to Savers/ Goodwill and get a red pillowcase and a green pillowcase. 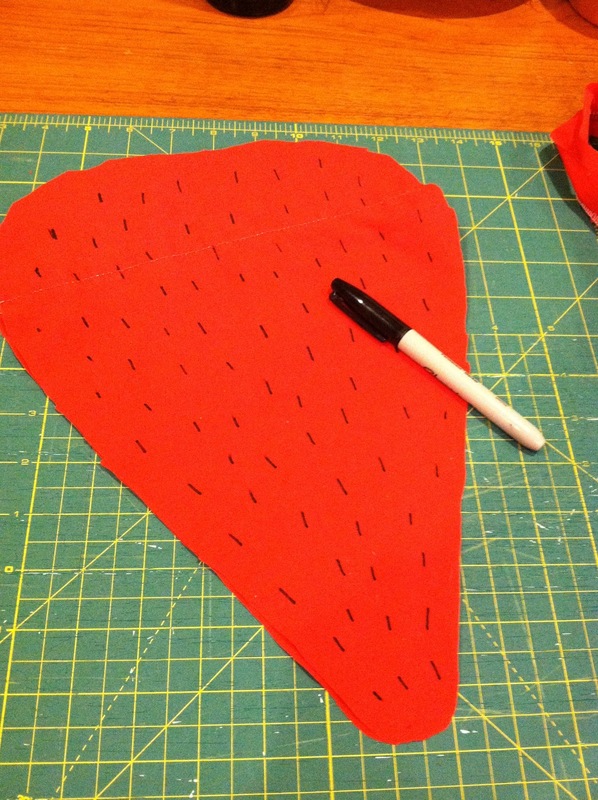 3) Cut the red fabric and a piece of interfacing together in the shape of a strawberry (a triangle with rounded corners). 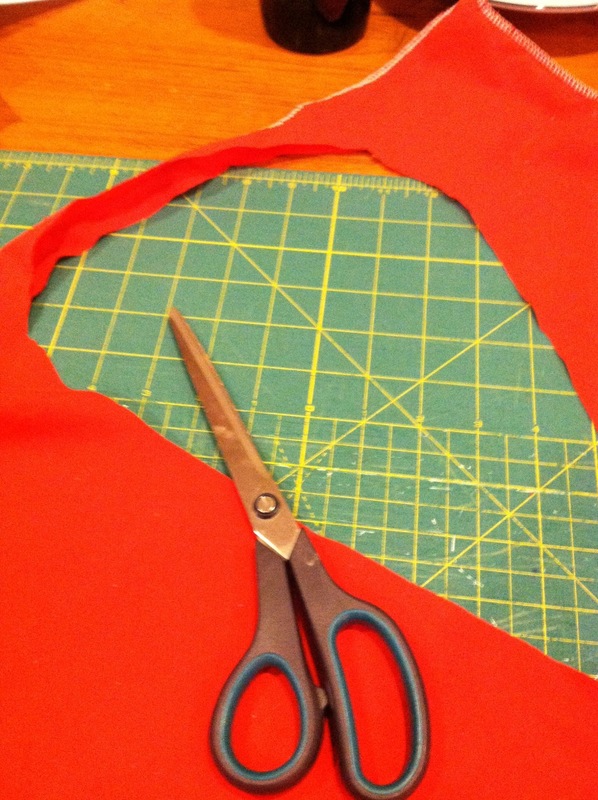 4) Iron the interfacing to the red material. This gives it stiffness. 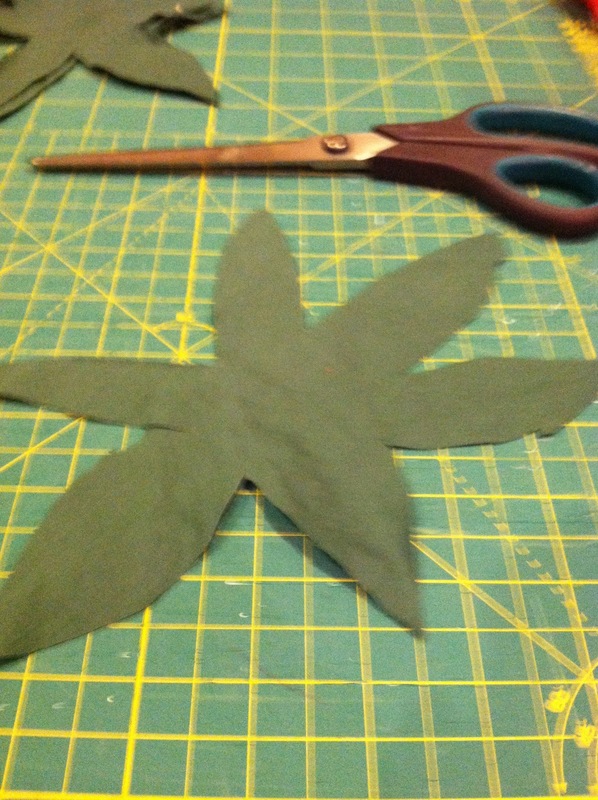 6) Cut the green material into a stem shape. Keep the pillowcase intact as you do this, so you are actually cutting out two at once. This gives the stem a little more weight. 6) Sew the stem onto the top of the strawberry. Also put a line of stitching down the center of each leaf of the stem. 1) Cut a 2 inch strip out of an old green t-shirt. Don’t get a new one. Probably your husband has some old gross green one lying around that you’d rather he never wear again anyway. The strip should be longer than you think you need. 2) Once you have it cut, put it around your baby’s head to figure out how long it actually needs to be, then cut accordingly, leaving an inch or so of extra material for when you sew the ends together. 3) Cut another stem shape out of your green pillowcase. Again, do two at once. 4) Sew the stem to about the center of the green band you just cut out of the tshirt and add a line of stitching down the middle of each leaf of the stem. 3) Fold the ends of the strip of fabric in to avoid fraying, then lay one on top of the other and sew them together. 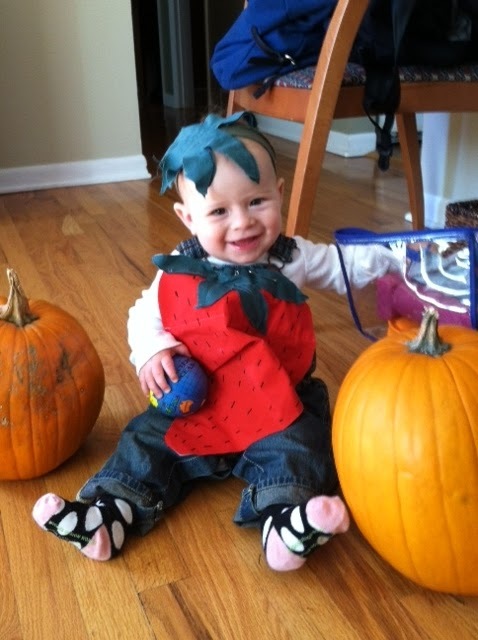 Use a couple of safety pins to attach the strawberry to baby’s outfit. She is so adorable, Pam!Love the new blog look, btw. “wash them” hahaSuch sweet pix!! Absolutely adorable, I agree!